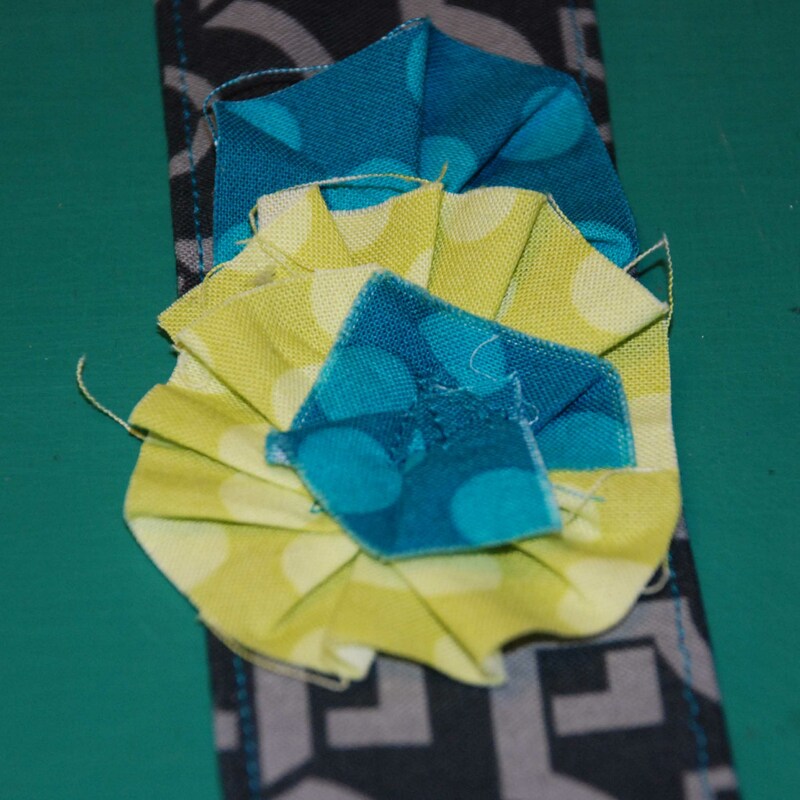 What to sew next…. That is the question! 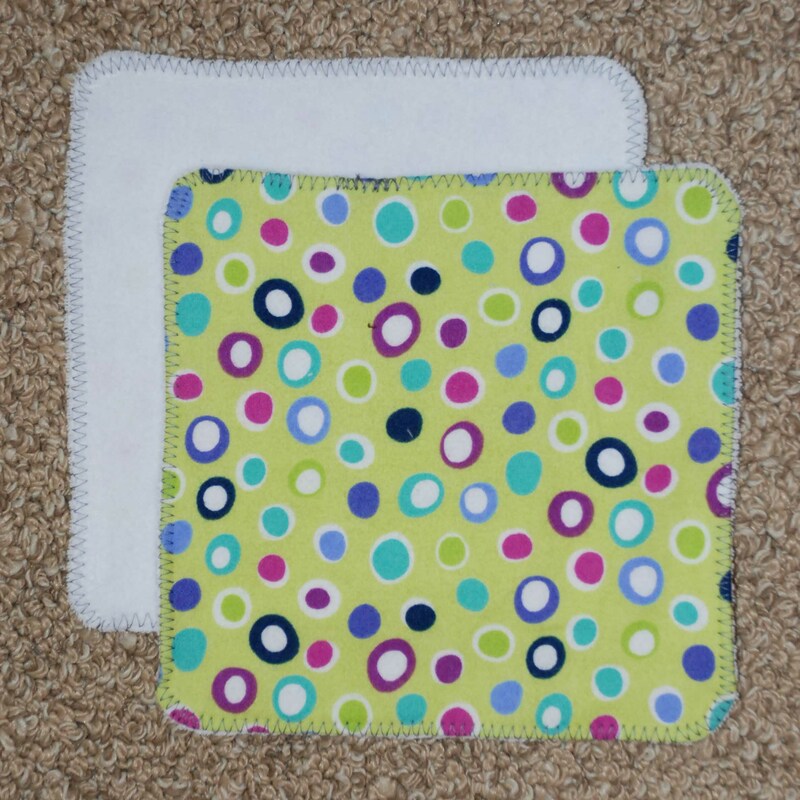 burp cloths – because one can never have enough.. i’m doing laundry twice a week just because of needing to have clean burp cloths on hand..
hmm.. what else do I want to sew? I would like to try wool dryer balls – I have two and want more but the price tag is a killer..
Oh a wet bag for my cloth paper towels that I made (as the dirty ones sit on my dryer).. 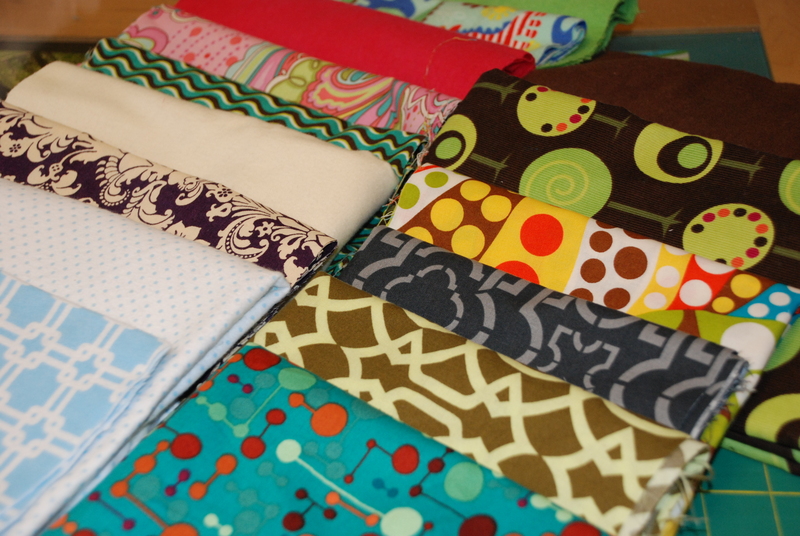 These are the fabrics I plan to use to complete this list – doesn’t it make you just want to get out your scissors and start cutting? This is my “to-sew” list.. But I have done a few of these this weekend that I would love to share with you! 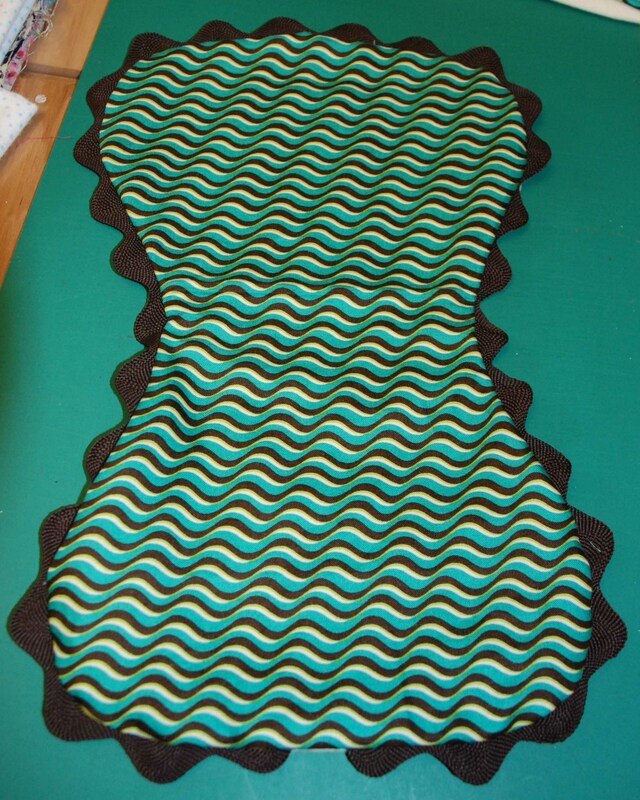 Cloth wipes – all I did was sew a flannel piece of fabric and a piece of cotton terry velour together (wrong sides together so I could turn them). I used cotton terry velour.. well because I couldn’t find just good old cotton velour. None of the local fabric stores carried it – I think I might have to order some online if this doesn’t pan out. Turned them right side out and zigzagged the edge. Used my first one and it worked great. We’ll see how it washes! 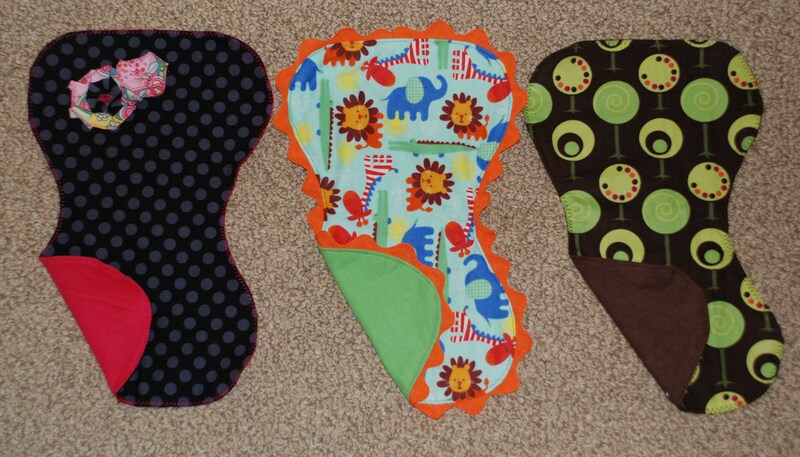 Burp Cloths – I found this fantastic blog that used jumbo ric-rac as an accent for a burp cloth.. ric rac is now my new favorite thing! I did find out though that ric rac can either be pretty pricy or cheap – depending where you buy it. For instance, it was $1.99/yard at Joanns and at Hobby Lobby it was 9ft (3 yards) on a spool for $2.99 AND it was 50% off – making it $.50/yard.. uh I think I’ll be shopping at Hobby Lobby for my ric rac! I made my own pattern similar to the one she has on her blog – I was too lazy to walk up two flights of stairs to print hers off.. =) Here’s my result! So this got me thinking… maybe I could make some to sell on my website. So I made up a few other ones too. I hope I have a girl someday just so I can use the pink and black one! What do you think? Are these sellable? How much would you pay for one? 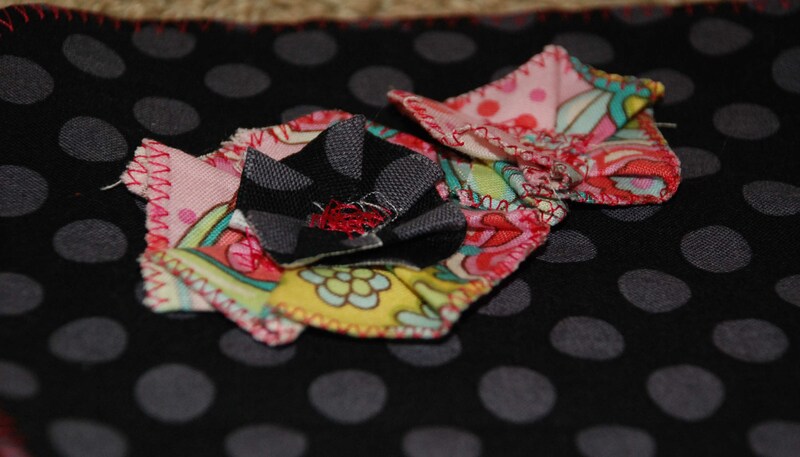 Close up of the flowers on the pink and black burp cloth.. I’m in love! Oh and I used this same blog to make a camera strap cover! Oh I know I know, copier.. blah blah blah.. I did my embellishments from her headband tutorial and made my own thing.. that counts right? Oh, I didn’t add the padding like she did because my camera strap is already padded, and because I didn’t have the supplies… ok ok and cause I’m lazy..